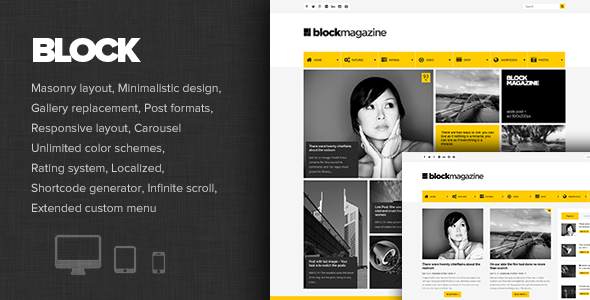 Block Magazine is fresh WordPress blog theme with masonry and fully responsive layout. Theme is suited for all blog, magazine or portfolio websites. Theme functions and features are based on solid back-end framework. Item Reviewed: Flat and Minimalist Magazine Blog Theme 9 out of 10 based on 10 ratings. 9 user reviews.